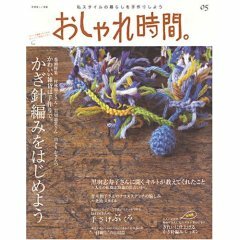 It is often hard to decide what Japanese craft book titles to order, it is not like you can run to your local bookstore and flip through the pages to see if it is worth your cold hard cash.The other problem major problem, lets face it bookshelf space is limited for all of us. This book has been on my wish list for a while on Amazon JP. I frankly kept hoping that someone would post a couple of image to let me know anything about what was inside. M's Asian music source here in town closed recently, so he has been ordering his music fix from Amazon JP a lot lately so I added this title to the order finally. I am really happy that I did. 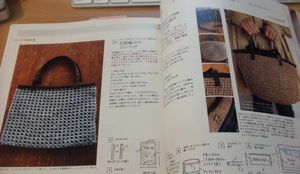 The book has a slightly different layout that we have come to expect from JP craft books. 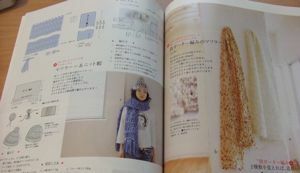 All of the patterns are on the page with the photo of the item. 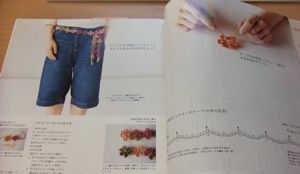 (Thus the cropping below) The only pages that are not colour are the general instruction pages on how to knit/crochet, supplies, and some general stories. 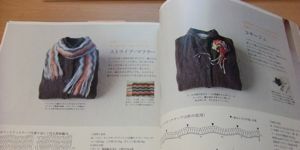 The book has a little bit for everyone: quilting, crochet, knitting, lace, paper boxes, finger knitting, embroidery, modern sashiko, cross stitch, and sewing. 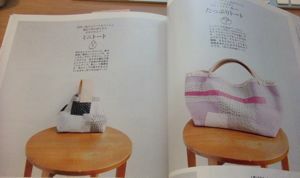 I've seen a few vendors of Japanese books on Etsy and have really wanted to order a few. I love the layouts and the way the designs are featured.. so clean and crisp, not cluttered with background 'noise' like their American counterparts. 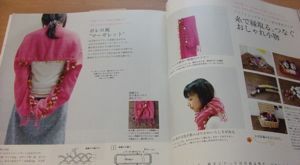 I don't even care for pink and I really love the look of that knitted shrug in the photos.. how cute!